It seems that Sid The Kid forgot how to score. Well, that WILL change tonight against Montreal. 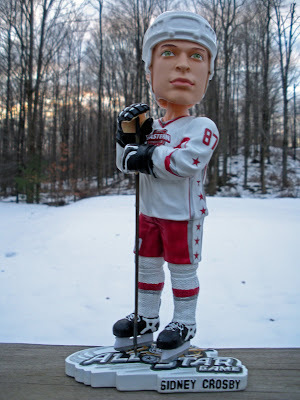 This is Crosby's 2007 All-Star bobblehead from Forever Collectibles. Light the lamp!